The Witchhazel is starting to bloom! Improbably fragile yellow blossoms emerge from stubby buds. Such a welcome sight. Because this tree is in my back garden in the shadow of the house, it's very shaded throughout the whole of autumn and spring (the back of our house faces north) so perhaps that's why it's slower to bloom than a lovely tree in a neighbour's garden that's covered in blossom at the moment... But I don't mind, I'm simply delighted to see mine on the way. 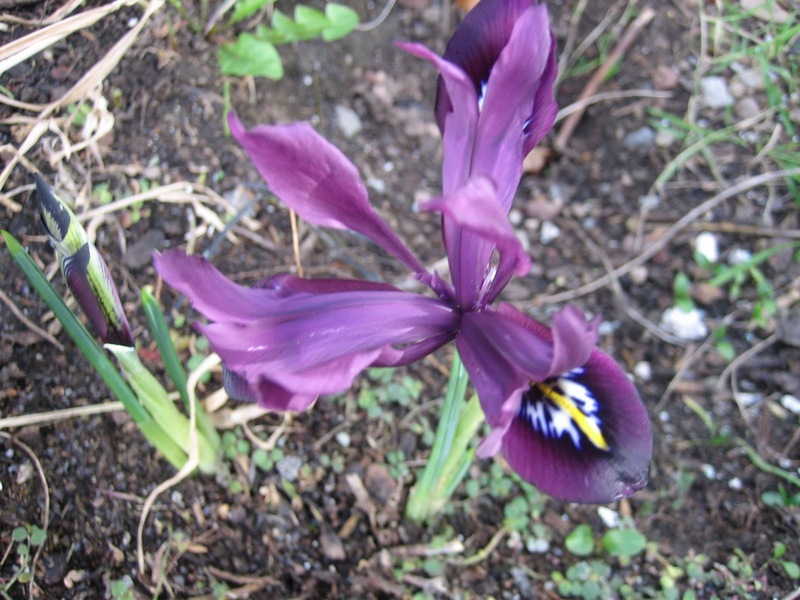 At the front of the house, which makes the most of winter sunshine, the first iris has bloomed. 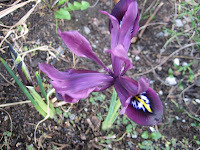 And in some of the pots I have around the place, irises and narcissi are pushing through. There'll be tulips later on. This is a short one this week - it's a sad time as it's my brother's month's mind. Not much more to say, really, so I'll just finish with a winter haiku.